It was 1946. “WWII had been won. The University of Pennsylvania unveiled the first general-purpose electronic computer and Frank Capra’s It’s a Wonderful Life was released in New York. America was embarking on a period of new prosperity and possibility when a young married couple named Woody and Victoria Johnson began building their American dream. That dream started as a modest, six-table restaurant named Woody’s El Nido. Demand was great, as virtually no Mexican restaurants existed, the business grew, and by 1952 the original Woody’s Macayo opened its doors at the legendary Central Avenue location in Phoenix. 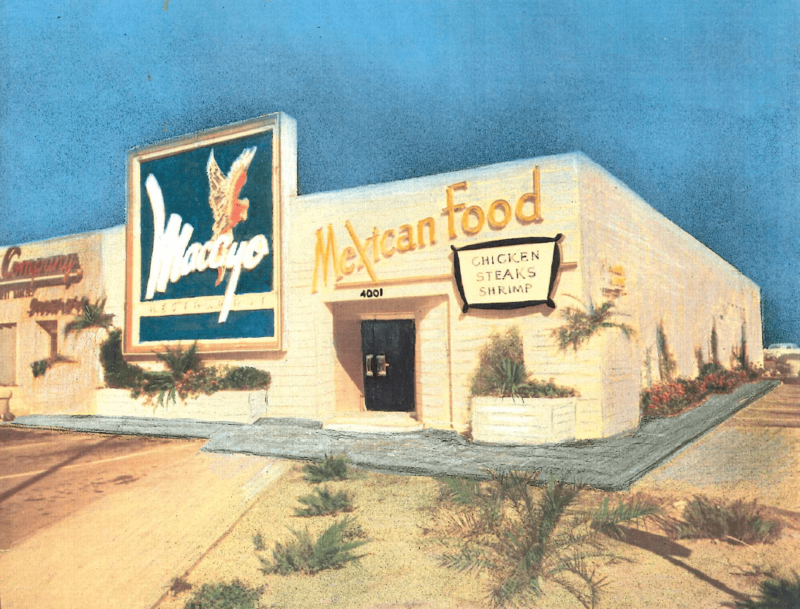 Through our first 70 years, Macayo’s has become an indelible part of the Valley’s shared history — a beloved icon of Arizona food and culture woven into the fabric of our community. Today, we honor our heritage as we look to the future with some exciting changes. PHOENIX, Ariz. – August 3, 2016 – Breaking News… the story has been leaked and Sharisse Johnson, CEO of Macayo’s Mexican Kitchen, confirms and officially announces that the flagship location, “Macayo’s on Central will be moving into a building just across the street at the southeast corner of Central Avenue and Indianola Avenue. Macayo’s Mexican Kitchen will remain open at its current location through 2016 and plans to move across the street in 2017. In this time of transition, “Rest assured, no one will miss out on their favorite Macayo’s dish!” exclaims Sharisse. This year, 2016, is a milestone for Macayo’s and marks its 70th Anniversary as a local institution. Macayo’s is very proud to continue the same traditions that started as merely a dream by two high school sweethearts, Woody and Victoria Johnson, to serve delicious Mexican food to people all across the state of Arizona. Founder Woody Johnson had a minimal culinary education when he first began, but was extremely proud of his food and passionate about serving his guests and team. That same foundation of pride and passion continues today through the Johnson children and the entire Macayo’s family legacy. “The project is underway at our flagship location, and it is truly in honor of Woody and his dream and innovation. The design is inspired by his original concept of our Central Macayo,” shares Sharisse Johnson. “The goal is to create a space similar to the look and feel that Woody built in 1946 with a modern appeal.” The outpouring of love from the community has been overwhelming and truly appreciated by Macayo’s. Macayo’s has engaged Judith Testani & Riccardo Cattapan and their teams at Testani Design Troupe, Inc. & CMDA Design Bureau for this “adaptive reuse project.” The Macayo’s team is currently working with the City of Phoenix in hopes to preserve and move the iconic Macayo sign that residents have grown to love and recognize while driving down Central Avenue. “The new Central Macayo’s location will offer a fun, indoor-outdoor environment, including an outside patio, making an amazing contribution to the Central Avenue skyline, while still maintaining the same exciting Macayo’s atmosphere guests have loved over the years,” said Ashley Negron Director of Marketing and Brand Management. 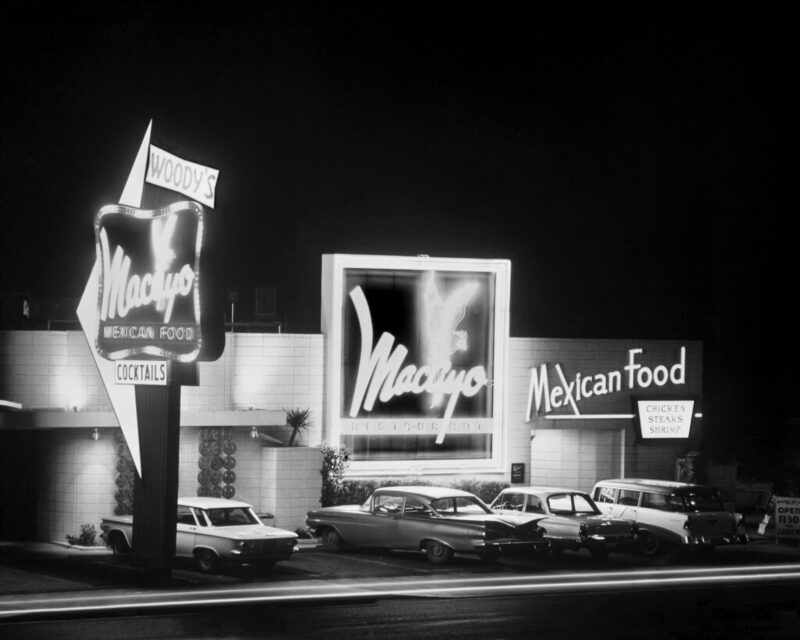 As we look to another exciting, 70 years of sharing the Johnson’s legacy, Macayo’s will continue to be innovative and evolve with changing trends, palettes and lifestyles along with preserving the traditions and dreams of Woody Johnson by serving delicious Mexican food to the people of Arizona. And so, Woody’s inspiration and passion will continue on as an iconic piece of Arizona’s living history.